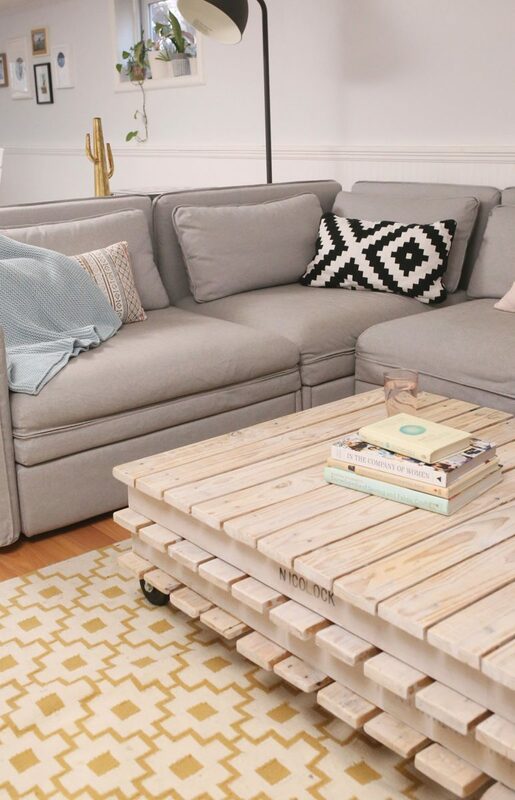 I built this DIY wood pallet coffee table a few years ago, but I lost all the step-by-step photos. But I realized that even without a full tutorial, I still have some helpful tips to share in case you want to build your own. I wanted to create one with storage options, and after some Pinterest-scouring, I loved the look of this one from Sustainable Decor. I used the same basic methods but tweaked a few things for mine. Finding pallets: If you can’t find pallets in good shape, try asking a local shop if you can buy their leftovers. I got mine for $5 each! Room for error: If you can, pick up a third pallet. That way you can replace any messed up boards. Mind the gap(s): I actually removed the boards from the top and rearranged them with a couple extras so that there weren’t any wide gaps between boards. Nail removal: If you can’t get the nails out of the boards, you can use a reciprocating saw to just cut through them. Pallets are rough and dirty. Be sure to sand everything really well, starting with a coarse sandpaper and working your way up to a fine grit. Finishing: I like the look of whitewash for a piece like this, but you could change the vibe with a rich brown stain or a colorful chalk paint. Wheels: You don’t have to add wheels, but this sucker is heavy and hard to move. Plus, the wheels look kind of industrial chic-ish. Wow! 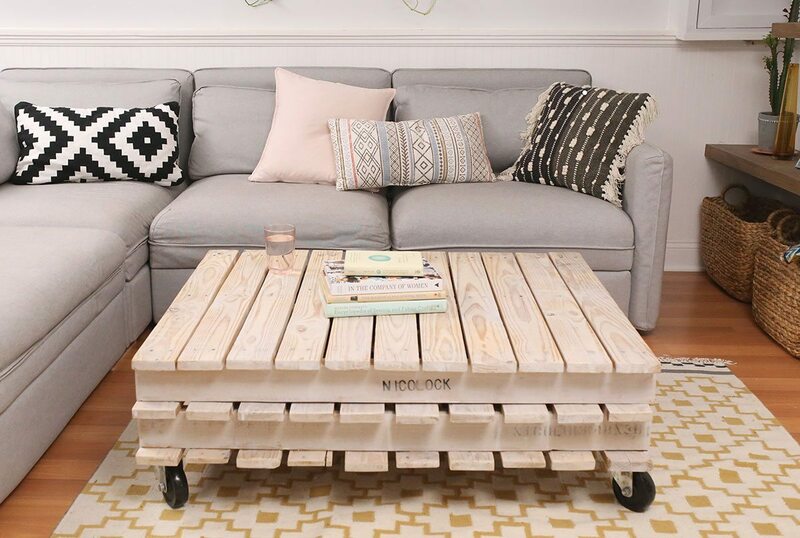 Your coffee table looks so beautiful that the coffee table is enhancing the charm of the room. This is a great looking table. I made a similar one with reclaimed wood. I would be interested in seeing more reclaimed wood projects.